Apple SVP Phil Schiller has tweeted a link to a report from ArsTechnica which reveals that Samsung has been artificially inflating its benchmark scores for the Galaxy Note 3. 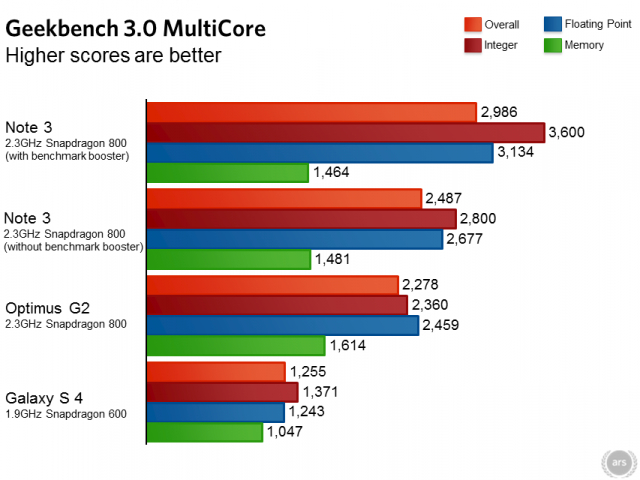 ArsTechnica noticed that strangely the Galaxy Note 3 scored much better in its benchmarks then the similarly specced LG G2, and launched an investigation into the matter. A quick comparison of its scores to the similarly specced LG G2 makes it clear that something fishy is going on, because Samsung's 2.3GHz Snapdragon 800 blows the doors off LG's 2.3GHz Snapdragon 800. What makes one Snapdragon so different from the other? After a good bit of sleuthing, we can confidently say that Samsung appears to be artificially boosting the US Note 3's benchmark scores with a special, high-power CPU mode that kicks in when the device runs a large number of popular benchmarking apps. By changing the name of the benchmark utility, ArsTechnica found that booster was adding 20% to the Galaxy Note 3's score. Anonymous has posted a video that claims the NSA is using Apple's new Touch ID fingerprint sensor to collect fingerprints. Apple has stated numerous times that this isn't case. Touch ID does not store any images of your fingerprint. It stores only a mathematical representation of your fingerprint. It isn't possible for your actual fingerprint image to be reverse-engineered from this mathematical representation. 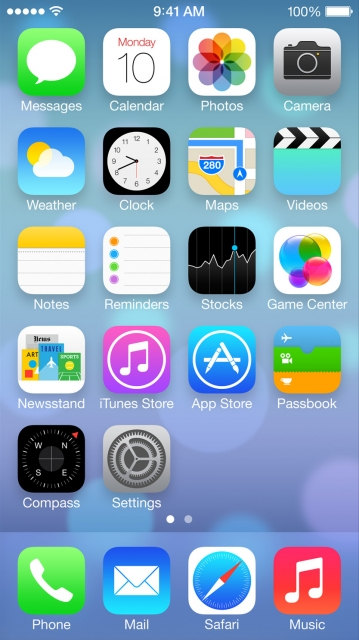 iPhone 5s also includes a new advanced security architecture called the Secure Enclave within the A7 chip, which was developed to protect passcode and fingerprint data. Fingerprint data is encrypted and protected with a key available only to the Secure Enclave. Fingerprint data is used only by the Secure Enclave to verify that your fingerprint matches the enrolled fingerprint data. The Secure Enclave is walled off from the rest of A7 and as well as the rest of iOS. Therefore, your fingerprint data is never accessed by iOS or other apps, never stored on Apple servers, and never backed up to iCloud or anywhere else. Only Touch ID uses it and it can't be used to match against other fingerprint databases. Check out the video below for those interested. This is nothing new, you must understand that if your a US citizen then your prints are already on file. There are many other ways the government can get your fingerprints, so don't worry to much about your iPhone 5s, even if it is true.